February 22, 2016 - Between the expiry of the Softwood Lumber Agreement (SLA), the potential ratification of the Trans-Pacific Partnership (TPP), a surging U.S. dollar and staggeringly low oil prices, there are a lot of potential opportunities and challenges that lie ahead for Canada’s forestry sector in 2016. 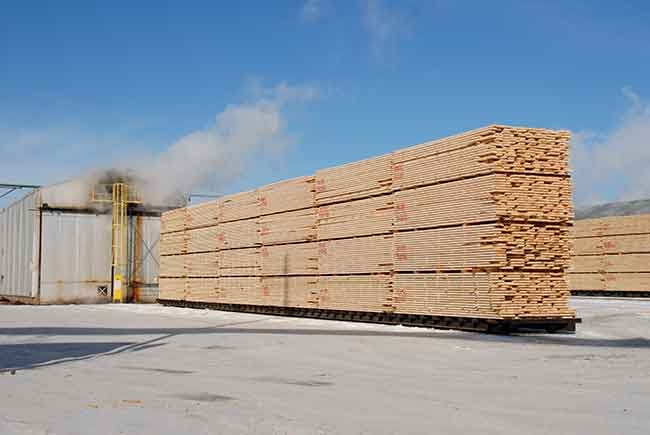 Although Canada’s forest industry has gone to great efforts to diversify the markets for its wood products across the globe, the largest market for Canada’s wood products is still, unsurprisingly, the United States. The No. 1 home for Canada’s softwood lumber is the U.S. housing market. Although the U.S. housing market’s recovery has been slower than anticipated, it has experienced growth over the past two years ranging between 10 and 15 per cent, reaching 1.12 to 1.14 million starts in 2015. But with the expiration of the SLA this past October, government and industry will need to work expeditiously to chisel out a new agreement before October 2016, when the U.S. government’s commitment to not initiate trade remedy action is set to expire. damage us, ironically, at the time that the U.S. housing market is set to take off,” says Paul Whittaker, CEO of the Alberta Forest Products Association (AFPA). “I think that’s a heck of a challenge in the year ahead. Susan Yurkovich, president and CEO of the Council of Forest Industries (COFI) and president of the B.C. 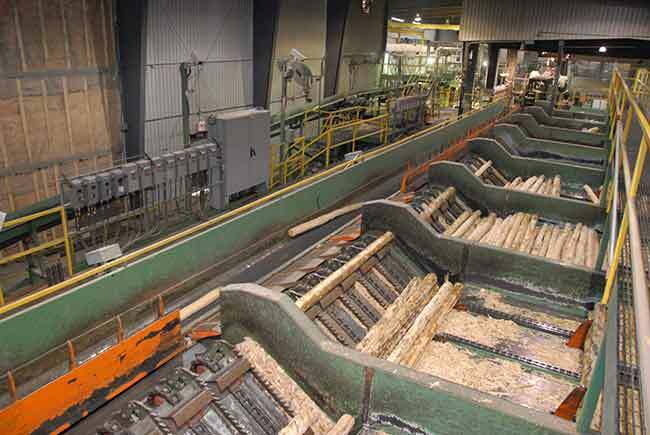 Lumber Trade Council, hopes the two countries and their industries will be able to find a way to move forward and iron out an agreement before October and remove some uncertainty from the market. That said, Canada’s industry is preparing itself for the possibility of an agreement not being reached before the expiration of the standstill, Yurkovich says. Yurkovich sees the trend towards Canada’s forest industry diversifying its markets for wood products continuing to grow in 2016. Although the Chinese market is expected to slow down through 2016, it will still continue to grow at a significant pace. One hurdle to growth in gaining market share in larger Asian markets such as India will be convincing governments and construction industries to embrace wood products. If ratified, the TPP will offer tremendous opportunities for Canada’s forestry sector for pursuing markets like Vietnam and Malaysia, in addition to improving the competitiveness of Canadian manufacturers in existing markets, such as Japan. The duties imposed in TPP countries for Canadian wood products can range from five to 25 per cent. “Dropping a tariff from 25 per cent to zero cannot hurt our industry,” says Lansbergen. Although the TPP could present significant opportunities for the sector, Lansbergen doesn’t expect to see those opportunities materialize this year. One concern voiced by the AFPA’s Whittaker is that the newly elected Liberal federal government will not be as invested in the success of the TPP as the previous federal government. “I know the people who negotiated the TPP for the federal government understand it and that this is a huge opportunity for us, but I’d hate for this opportunity to be lost because the new government doesn’t feel it’s one of their ‘babies,’” he says. The majority of the forestry sector will reap the benefits of the recent drop in oil prices and rise of the U.S. dollar, says Jonathan Levesque, vice-president of sales and development at Groupe Savoie, a producer of hardwood products and wood pellets that employs more than 600 people in New Brunswick and Nova Scotia. Although most mills in Atlantic Canada should experience benefits from the high U.S. dollar and low oil prices, there will be some forestry companies that will be hit hard. Another benefit forestry operations in many regions across the country are experiencing due to the drop in oil prices is an influx of skilled labour caused by massive layoffs in Alberta’s oil sands. In Atlantic Canada, many labourers are returning home from northern Alberta seeking employment. In Calgary, the headquarters for many of the companies active in Canada’s oil and gas sector, the layoffs have been largely for white collar, high-income jobs. The ripple effect from those layoffs has allowed Alberta’s wood products industry to attract and retain skilled staffs. The drop in oil production has also given Alberta’s wood products manufacturers increased access to trucks and railcars. “I never accept with glee that we do well at another industry’s expense, but the two positives from the slowdown in the energy sector is that the labour issues and transportation challenges are better,” Whittaker says. Of course, the sharp drop in oil prices has also had a negative effect on the province’s housing market, which had been experiencing growth ranging anywhere from seven to 10 per cent over the past few years. Although Whittaker expects a rough second half of 2016 for the province’s housing market, a modest uptick in the U.S. housing market would more than offset any losses felt by Alberta’s wood product sector due to drops in domestic housing construction. The expiry of the SLA and the potential ratification of the TPP offer opportunities and challenges for Canada’s forestry sector in 2016. One of the ways Canada’s forest industry is looking to gain market share in 2016 is by diversifying the application of wood products. Recent changes to some of the provincial building codes and work being done on the National Building Code is offering additional opportunities for growing the domestic side of Canada’s wood products industry. The work to make the changes to the National Building Code has already been done, according to Lansbergen. “Really we’re just waiting for the release of the model code and then the provinces will choose to follow it as is, or make some modifications,” he says. Some provinces have already moved forward, embracing changes to building codes related to the use of wood products. B.C., Ontario and Quebec all allow up to six storeys, with Quebec allowing for even higher wood structures. Despite all of the challenges that lie ahead in 2016, one thing is clear to Yurkovich – the industry will adapt and continue to move forward. 2015 State of Canada’s Forests report now available!